Landmark Chilean drama “A Fantastic Woman,” a stirring story of love and loss that centers on a transgender woman, won the best foreign language Oscar on Sunday. 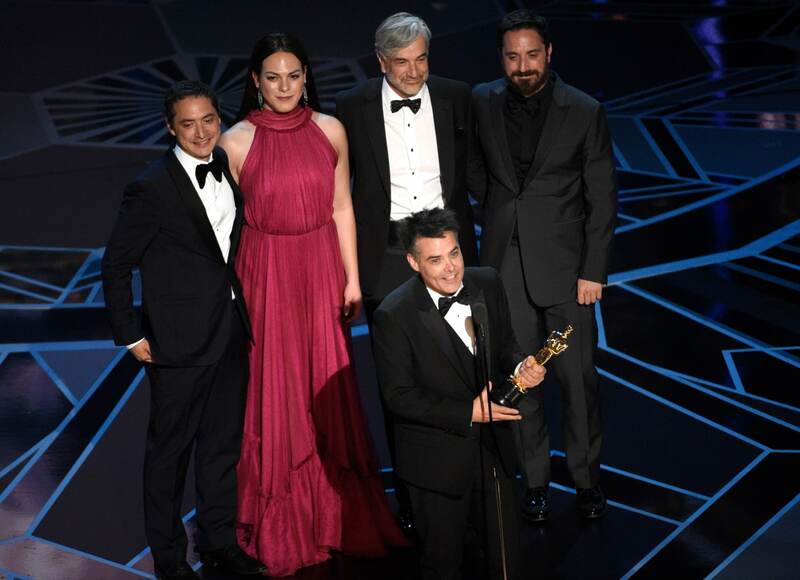 A favorite to win, the film has been hailed as a milestone in representing transgender characters and for taking on the timely subject of transgender identity with compassion and sensitivity. Clutching his gold statuette, director Sebastian Lelio called his transgender leading lady, Daniela Vega, his inspiration for the film. I've heard lots about this film and it does sound most interesting, even if quite upsetting. I hope it comes to some screen around here.